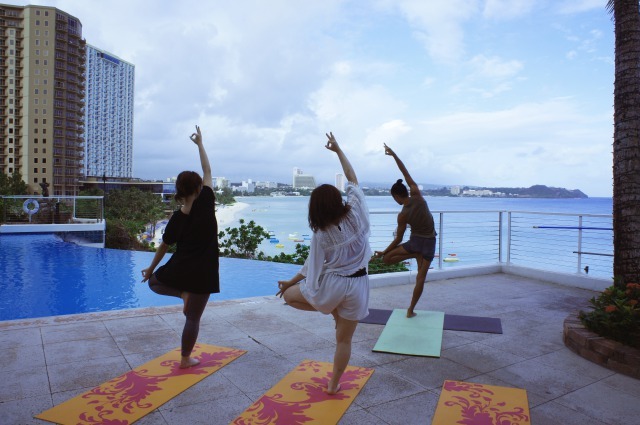 Limited Time Only Family Morning Yoga Campaign! 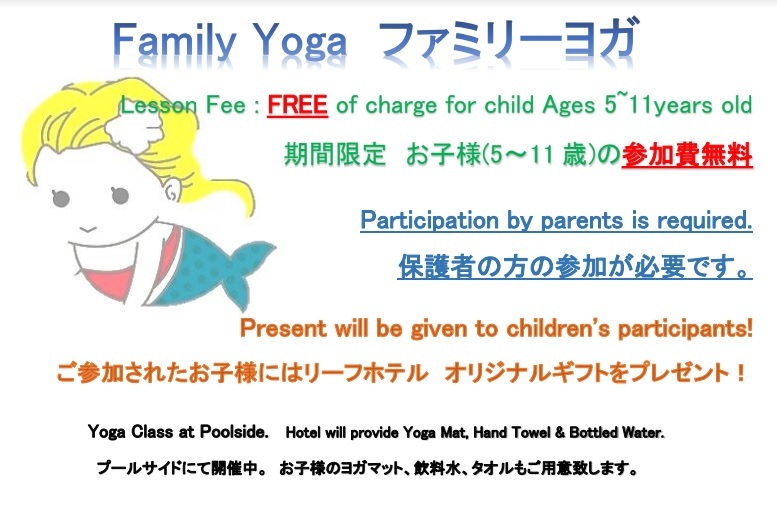 Free of charge for children aged 5 – 11 years old until April 7 (Sun)!!!!! *Participation by parents is required. *Hotel original goods will be given to children participants! Come join us for our Morning Yoga Class with your family! *Please contact Guest Service (644-3179 / 644-3180) for more information and reservation. 【Apr’19 – Jun’19】Pizza & French Fries Eat Free Campaign! © Guam Reef Hotel. All Rights Reserved.